Advent 2017, Year B, 1st Sunday: Advent is About Desire! 3rd Sunday of Advent Year B: Rejoice! Presence or Presents? Jerusalem. Isaiah is also known as the ‘carrier of the hope of the Messiah’. Foretelling a time when God will come among his people. Can you see the prediction of John the Baptist and Jesus in the reading from Isaiah? What image speaks personally to you on your advent journey? what roadblocks, ditches, hills require the earthmoving equipment of prayer, spiritual direction, reconciliation? not consider there would be a future judgment and therefore immorality was irrelevant). Would Christ’s coming find you ‘eager to be found without spot’? At peace? What is the source of your ‘dis-ease’? • Today we hear the beginning of the Gospel of Mark. The Gospel we will listen to for the rest of the Year. Mark immediately shares the ‘secret’ in the first line. We are about to hear ‘gospel’ (good news about a victory battle over evil) done by Jesus Christ. He is the one who reveals by words, actions of power, that he has all the attributes of God = Son of God. Is your interest raised? 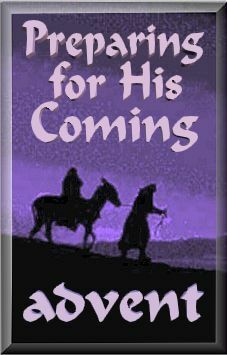 Consider spending a few hours to read Mark (the shortest gospel) for Advent. day of the Lord’. Who has been a holy witness and ‘prophet’ like John the Baptist for your journey? Who could you be a holy witness for this advent calling them back to God? livingtheword weekly download and resources are created by Fr Frank Bird sm, a Priest of the Society of Mary. Administered by Bev McDonald, Marist Laity NZ Facilitator. web: www.livingtheword.org.nz www.maristlaitynz.org e-mail: contact@livingtheword. This entry was posted on Tuesday, December 5th, 2017 at 11:17 am	and is filed under Advent, Courage, Discipleship, Love, Sunday Readings. You can follow any responses to this entry through the RSS 2.0 feed. You can leave a response, or trackback from your own site.